Rock N Roll Home Improvement | Learn to Make Your Home Your Wildest Ideal! There it comes again! That time of the year when it’s getting cold , when the cities start being covered in light , where everywhere you go you see Santa , Christmas Trees , and ( if you are a kid ) unlimited toys from which you could chose or ( If you are a grown up now , sadly that is me ) unlimited expenses . But what is Christmas really about? That is right! It is about family and friends and getting together. How else to enjoy each other’s company if not with some great music in the background. What type of music? Christmas music, of course! What genre? Rock and Roll, no doubt! So, let’s see a top of rock and roll Christmas albums! Let’s start with Bob Dylan and his “Christmas in the heart“ album. Dylan always had as expect the unexpected from him so, here it is: an album with Christmas songs (and a really good one , if I might add ) . You can also buy the vinyl version! Jimi Hendrix and his “Merry Christmas and a Happy New Year”. This was not intended as a Christmas Record but it’s clearly a “must have ” in your Christmas Rock songs playlist! Lynyrd Skynyrd – “Christmas Time Again “. Run , run , Rudolph is amazing! I’m sure you’ve heard of that but , on this album you will also find some surprises such as the instrumental versions of ” Classical Christmas ” or “Greensleeves”. Peter Cetera – “You Just Gotta Love Christmas “. The title of this album says it all! I mean, how can anyone hate this time of the year? Even the grumpy Scrooge came around in the end and you all know how he was! Reo Speedwagon – “Not So Silent Night “. Silent night, holy … no! It looks like sometimes you don’t want the night to be silent and, to be honest, if you are looking for a good time, why would you ? Songs on this album are traditional but the band imposed its own style over them. But if you are not a fan of any of those albums, there is always a personal favorite of mine, Gwen Stefani and hers “You make it feel like Christmas ” and if you have someone who gives those lyrics real meaning then you won’t need anything else. Or, at least so I’ve heard! I hope that you’ve found this article helpful. Happy holidays, everyone! Carpet is popular among homes for a variety of reasons. Aside from the comfort it brings, it also has an unmatched level of warmth and cosiness to any home. It is also effective for silencing loud footsteps and making your space feel calmer. Given the proper care, they can last for years in your home. Carpet flooring is perfect for low traffic areas as well as in bedrooms. They are great for noise reduction and keep rooms warm and cozy. The major disadvantage is that they are difficult to maintain and clean. But there are new carpets that are designed to withstand heavy traffic. Wood floors are great regardless of the design of your home. It offers flexibility in how the rooms will be used and in the arrangement of furniture. Wooden floors are a classic and last a long time. It will be appealing to anyone. If you are looking for flooring that is slip resistant, easy to clean, and can last long even under harsh conditions, vinyl floorings are the perfect choice. It is low maintenance, can mimic stone or marble floorings and is less expensive than other options. With vinyl floorings, you choose large vinyl sheets to be cut to the size of your room. There are also vinyl tiles. These types of floorings are water resistant. They come in different patterns and designs. Vinyl tiles are perfect for wet areas such as your bathroom or kitchen. You can place vinyl tiles anywhere in the house and not worry about rotting and maintenance. When maintained properly, vinyl tiles can be easily cleaned and will last a long time. Wooden floors carry a hefty price that some homeowners cannot afford. The good news is that they can get the next best thing—a wood laminate. It offers the appeal of wooden floorings but at a lower cost. Laminated wood are durable and are available in various colors, sizes, and widths, depending on the preference of the homeowner. Different colors will give different looks so it pays to see some samples so you can choose the perfect one. Whether its vinyl, carpet, wood, or laminated wood, improving your flooring will not only freshen up your space but also increase its value. 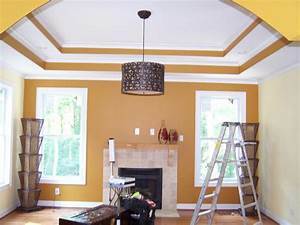 Home improvement projects like these are long lasting and will make potential buyers consider your property.